Here are a couple of items we prepared today. Sadly our produce supplier let us down with delivering frisse lettuce so we had to substitute arugula. 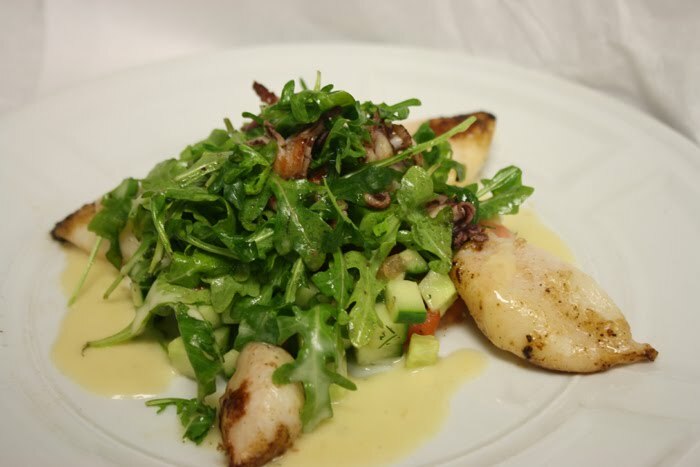 The dish is Pan Fried Squid with cucumber, tomato, dill, arugula and beurre blanc sauce. 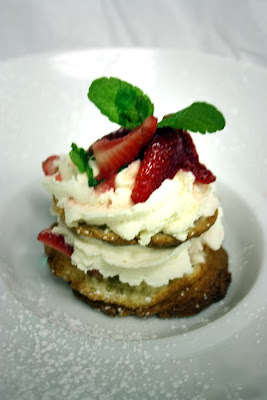 And a very simple Strawberry Shortcake to finish.